Betting and gambling online is all about convenience and maintaining a certain level of privacy. However, there are some other factors to take into account as well. For example, users don’t want to rely on third-party services all that much. For those more security-oriented gamblers, the decision between a hardware and software wallet may not be straightforward either. When it comes to using a Bitcoin wallet for online gambling and other purposes, convenience is a determining factor. At the same time, it is important to use a solution that is available at all times, and does not hinge on third-party servers. Surprisingly enough, this eliminates the most popular software in the form of Blockchain.info. This service is commonly used, but if their servers go offline, users cannot access their funds. That goes for both the online and mobile version, unfortunately, removing them from this list entirely. 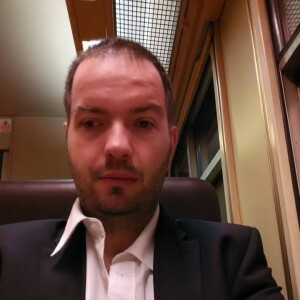 Airbitz, on the other hand, is one of the most convenient solutions in the world. Not only does it offer 100-percent uptime—even when company servers go down—but it also includes other features to spend Bitcoin in real-life. For online gambling, Airbitz is convenient to use, both for sending and receiving funds. The built-in directory gives users a chance to spend Bitcoin in the real world as well, should they desire to do so. Plus, the application is available on both iOS and Android, which is a nice plus. 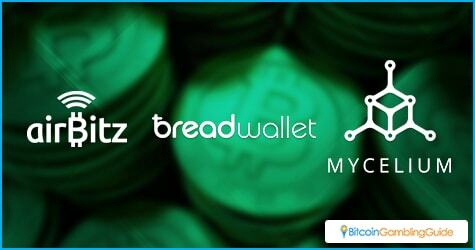 Speaking of Android and iOS, Breadwallet and Mycelium are two other interesting choices to look at. Both of these wallets work for their respective operating system, but offer a lot of interesting features. Additional security measures are never a bad thing, albeit they may not be very important to online Bitcoin gamblers all that much. But for users who prefer a mobile wallet, they are certainly worth giving a try. For those users who want something that works across all platforms, the choices are rather limited. Jaxx, a relatively new wallet solution, can be used on mobile, computers, and even within specific browsers as a plugin. But there is more as Jaxx supports Bitcoin, Ethereum, and DAO tokens. Support for alternative currencies is a bonus for users who are looking to explore gambling options in the altcoin scene. No one is saying people have to use a mobile Bitcoin wallet for online gambling. It just makes the process of storing and securing Bitcoin a lot easier. Wallet software on a computer is secure as well, albeit computers are more prone to hacking attempts, viruses, and malware. Mobile phones, on the other hand, are much more closely guarded by the user. For those Bitcoin bettors who value security over anything else, there are various hardware wallet solutions to look into. These devices do not make it easier to send and receive funds per se, but they do offer more secure funds storage capabilities. This can be quite valuable to bettors who want to keep their “money pool” safe from prying eyes. One of the only downsides to hardware Bitcoin wallets is the associated price of these devices. Depending on which offering one chooses, prices can be as high as US$150. This may be slightly out of reach for the average bettor, albeit it is a valuable option to keep in mind in the long run. 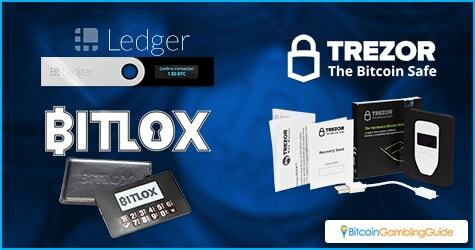 Among the most popular and secure hardware Bitcoin wallet solutions are the Ledger series, Trezor, and BitLox. Every one of these models offers something different compared to the other, which explains the price difference. If bettors are dealing with large amount of cryptocurrency—hopefully from winning!—these types of storage solutions are a must to keep funds safe and secure at all times.